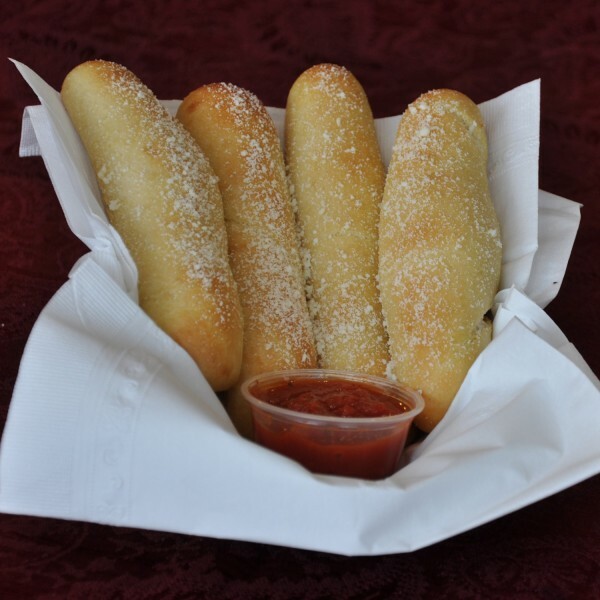 Four Toasted Sticks served with your choice of Dipping Sauce, Marinara Sauce or Ranch Dressing. Crisp Green Lettuce mixed with Carrots and Cabbage topped with Croutons and your choice of Dressing. 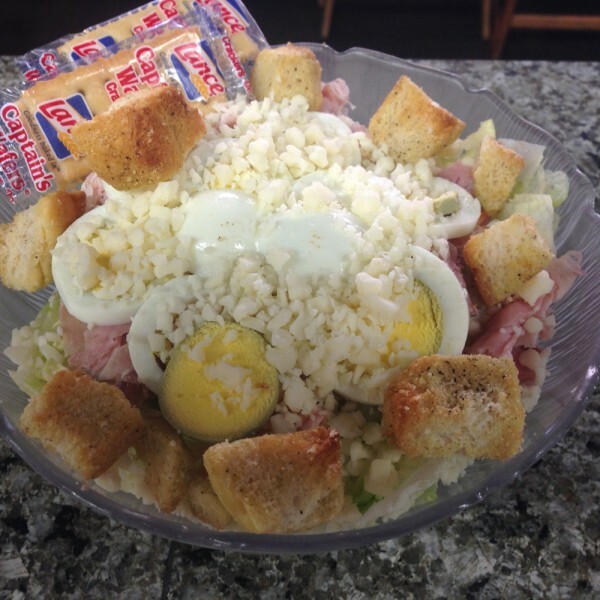 Crisp Green Lettuce topped with Ham, Egg, Cheese, Croutons and your choice of Dressing. A slightly smaller version of the Chef Salad. Crisp Green Lettuce topped with Chicken, Egg, Cheese, Croutons and your choice of Dressing. Crisp Romaine Lettuce topped with Romano Cheese, Croutons and a delicious Creamy Ceasar Dressing. Smaller version of our Caesar Salad. Baked Ham, Salami and Spiced Ham, Cheese and Onions, Lettuce, Tomatoes and Oil & Vinegar Dressing. Served Hot on a 12 inch Vienna Roll. Baked Ham, Salami and Spiced Ham, Cheese and Onions and Tomato Sauce. Served Hot on a 12 inch Vienna Roll. Tender Beef served with Cheese and Onions, Lettuce, Tomatoes and Oil & Vinegar Dressing on a toasted 12 inch Vienna Roll. Ham served with Cheese and Onions, Lettuce, Tomatoes and Oil & Vinegar Dressing on a toasted 12 inch Vienna Roll. 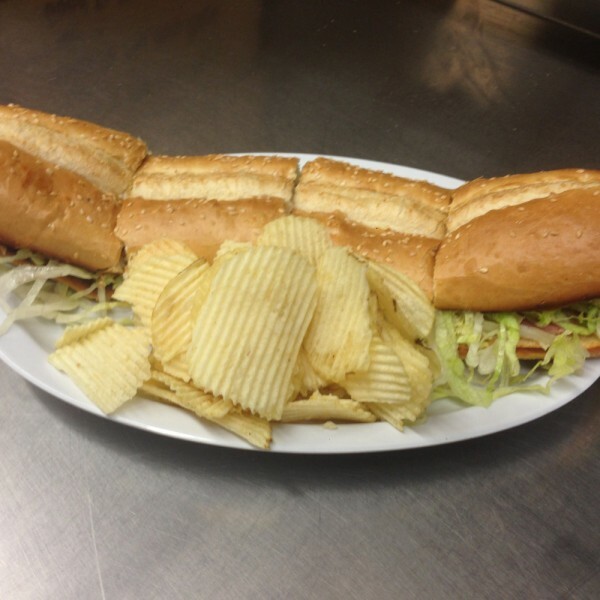 Turkey served with Cheese and Onions, Lettuce, Tomatoes and Oil & Vinegar Dressing on a toasted 12 inch Vienna roll. Tender Beef smothered with rich Gravy, served hot on a toasted 12 inch Vienna Roll. Mushrooms, Red & Green Peppers, Black Olives, Cheese and Onions topped with Lettuce, Tomato, Oil & Vinegar Dressing. Served Hot on a 12 inch Vienna Roll. Served on a 6 inch Hard roll with our homemade sauce. 6 inch Grilled Chicken Breast served on a Toasted Bun, topped with Lettuce, Tomato and Mayo. 6 inch Grilled Chicken Beast smothered in a rich Marinara Sauce, topped with Provolone Cheese and served on a Toasted Bun. 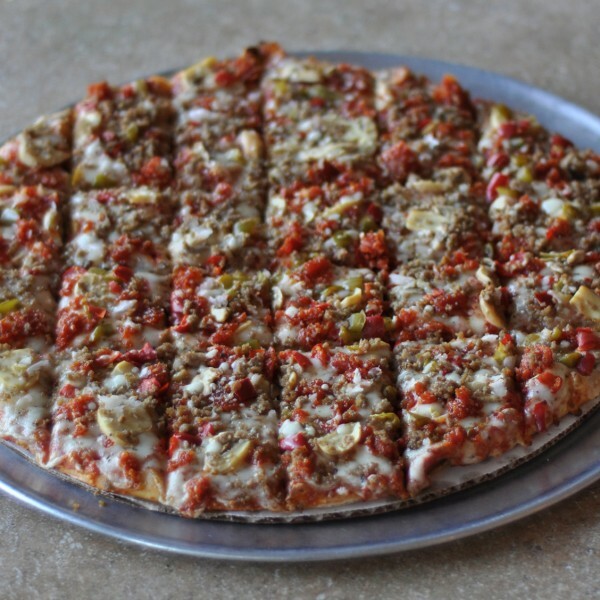 A special blend of Pepperoni, Mushrooms, Red & Green Peppers, Onions and Sausage. Tomatoes, Mushrooms, Onions, Red & Green Peppers, and Black Olives. 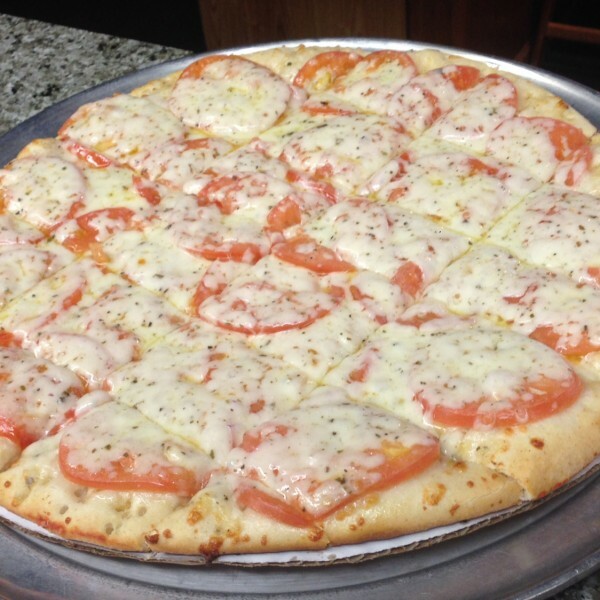 Create your Own: Fresh Homemade dough, stuffed with pizza sauce, a blend of two cheeses, and your choice of any two toppings. 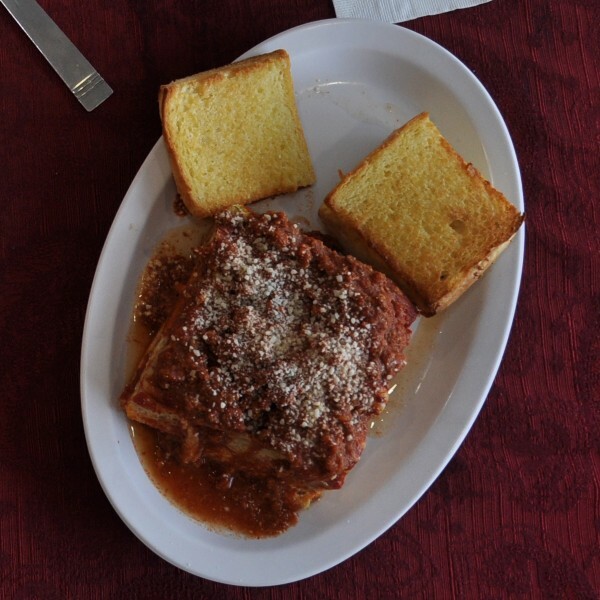 Served with your choice of Sauce, House Salad and Garlic Bread. 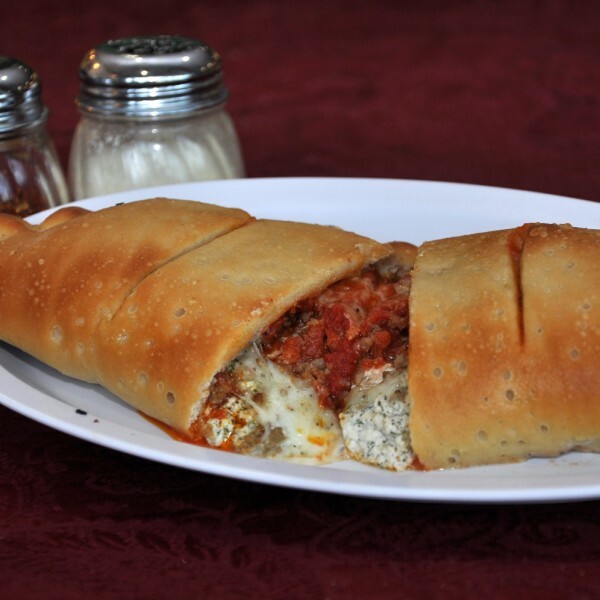 Jumbo Shells stuffed with Blended Cheeses and Italian Spices, topped with your choice of Sauce & served with a House Salad and Garlic Bread. 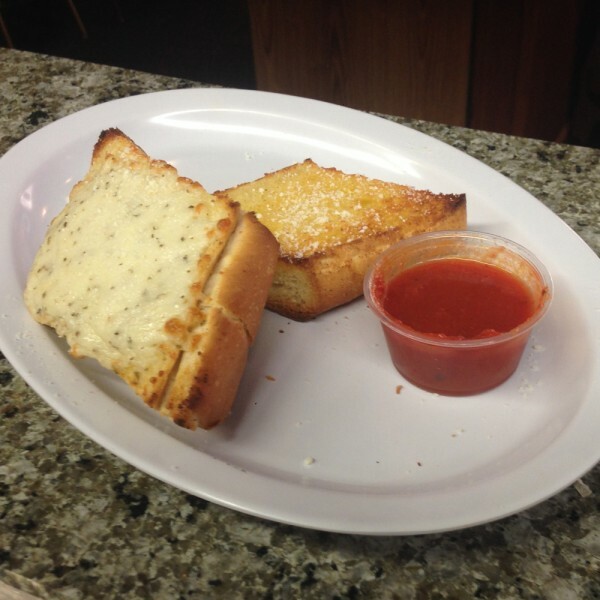 A blend of Ricotta, Romano and Provolone Cheeses, topped with your choice of Sauce, served with a House Salad and Garlic Bread. Over 50 Bottles to Choose From & 6-Packs to Go!! !